← Going beyond blending delivery to …. Want to work smarter, how about repurposing already existing content? I love curating and repurposing content, check out my post – Second hand shopping for elearning. 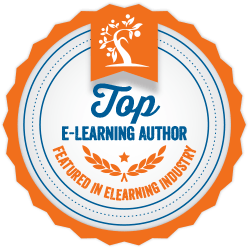 So how can you curate content and use it for your learning resources? Here’s an example of how I’m doing it now. I’m working on a customer service project. At first glance it looks mammoth with the huge amount of possible content, and also the need to contextualise the content for different audiences. But I’ve found ways to make this project smaller and more work efficient. The most critical factor is reducing the amount of development of “new” resources and to instead use existing content/resources in a smart way. You may balk and think you can’t do this as your customer service needs are specific so you’ll need your own tailored content – and you’re right, your needs are specific. Learning will still need to be targeted, have context, and be meaningful to your people. However you can provide context and meaning without having to develop everything from scratch. Context and meaning can be provided through activities and questions surrounding the content, allowing you to use already existing content that you’re curated from the internet or youtube. You can also use existing resources curated from within the organisation you are working with. Start with a poll e.g. ‘how important is empathy for providing customer service?’. Ask thought provoking questions about empathy and how it is related to their work role. 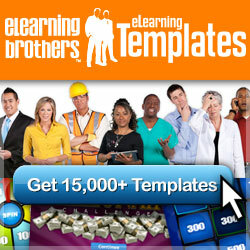 Questions or activities could be provided around any of the learning resources. You can also increase social learning by suggesting questions are discussed with their team, manager or peers. There are a multitude of activities that could be designed around curated content, the only limitation is your imagination. Think reflective learning, social learning, problem solving and learner sourced content. How about an activity recognising empathy blockers or a challenge where the learners are the agony aunt and have to provide responses? Using curated content means that the majority of your effort is used finding high quality resources rather than creating. It’s much more time efficient – how long would it have taken you to make an animated video about empathy? You could make a story out of your curated resources so they have flow. Bring the learner in by designing activities around the curated resources that give context and the opportunity for staggered practice and mastery. 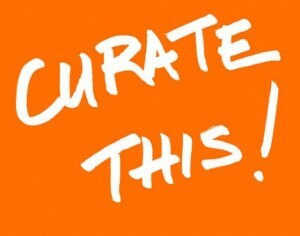 How have you used curated content for learning? – share your thoughts in the comments and we can all learn more together!